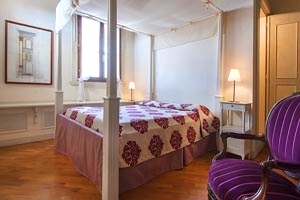 Luxury apartment full of light in Florence historical centre, just a few metres from Piazza Santa Croce. 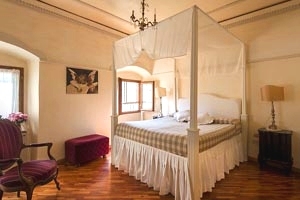 8 sleeping accommodations, air conditioning, Internet connection, wonderful view on the hill of Fiesole, on Brunelleschi`s dome and on Giotto`s bell tower. 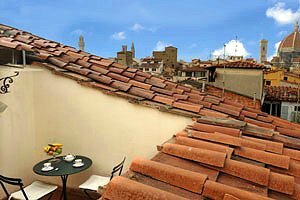 Situated on the attic floor of an 18th-century building provided with elevator, the apartment (8 sleeping accommodations) has large windows opening onto Florence Duomo and Giotto`s bell tower; in the distance the hill of Fiesole is to be seen, as well. 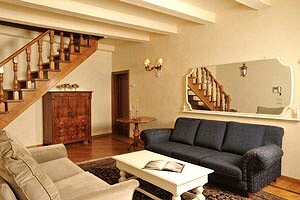 The apartment is just a few metres from Piazza Santa Croce, close to all major monuments and to the most renowned shopping streets. 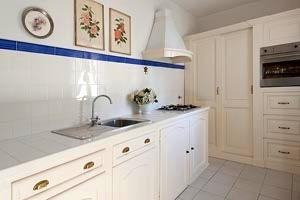 The apartment is provided with all comforts (air conditioning, Internet connection, washing machine and dishwasher) and has refined interiors. 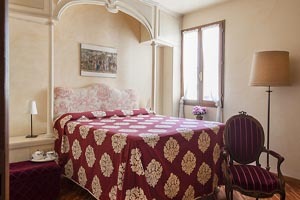 The rooms present wood or terracotta-tiled floors and have large windows offering a magnificent view on Florence. 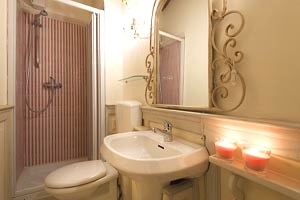 Household and bed linen are at guests` disposal. Supplied on request: toddlers bed, maid service (additional charges apply) and parking service in a garage (additional charges apply). 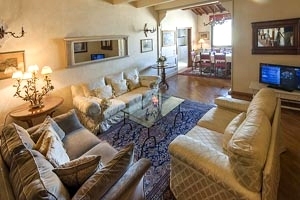 The apartment (180 sqm ) composes of living/dining room full of light and overlooking the Duomo, Giotto`s bell tower and Fiesole, kitchen equipped with oven, microwave oven and American coffee maker, laundry room, 2 twin-bedded rooms with en-suite bathroom and 2 double bedrooms with en-suite bathroom. 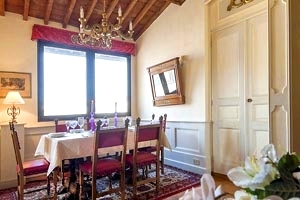 The apartment disposes of a balcony furnished with table and chairs.